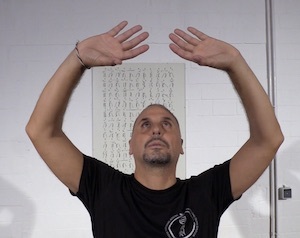 Six Healing Sounds Qigong (Liuzijue) is one of the best medical Qigong system I studied in many decades of research, and is one of the few I have retained and still teach today, with amazing results. The Six Healing Sounds system has a long tradition and is based on the theory of Traditional Chinese Medicine. In its simplicity, it is able to confer balance, energy and wellbeing in just one set of practice. This form comes from Prof. Wang Qiang (Shanghai University), who studied under Prof. Ma Litang, a world well known Qigong master and author of many books on the subject. The six sounds are meant to work on the six (five plus one) organs of the body, making energy and blood circulation strong and letting the Qi flow in the meridians, reinforcing weak organs and calming organs which are too full. The key to Liuzijue is to find our personal way to harmonize movements, breathing, sounds emission and body consciousness, it is the way we perceive and listen-interact with our inner organs and body. In the end during practice there will be no me and no sound: we will be plunged in a flow, in which we are floating – body, mind and spirit will be one. This method is also a very good diagnostic tool, because the way we emit the sounds from time to time is also indicating our level of energy and our state of mind in every organ. Breathing and focusing on emitting a correct voice, not too loud, not too weak, not too outside, not too inside, is the best way we can take care of ourselves. Liuzijue grows with us, and gives always new hints to us and new support to our health. A daily practice is the ideal way to start or to close the day. Together with the six different sound, it is recommended to visualize a specific color in your mind for every sound, to connect to a specific season feeling and to face a different direction, as indicated below. See also our follow up article with detailed information and videos of each exercise!